The rocket still has plenty of fuel in the tank. 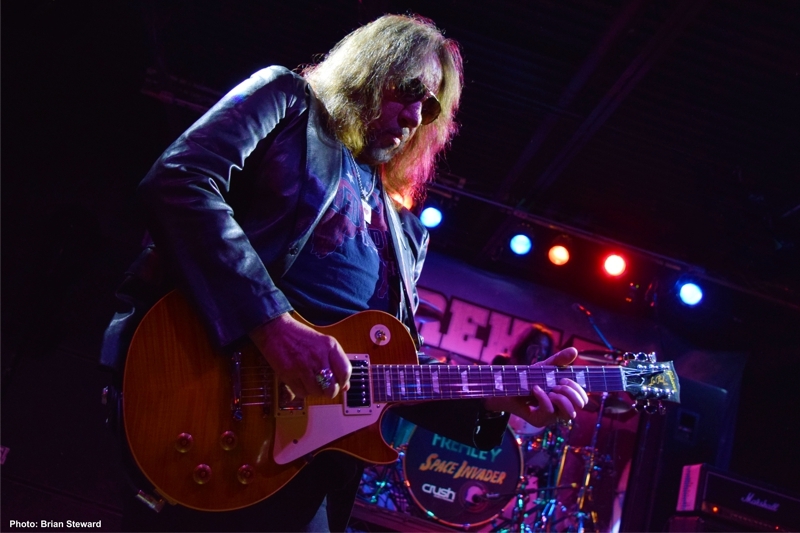 Ace Frehley is on tour again supporting his latest effort, Origins, Vol. 1, from eOne Music. 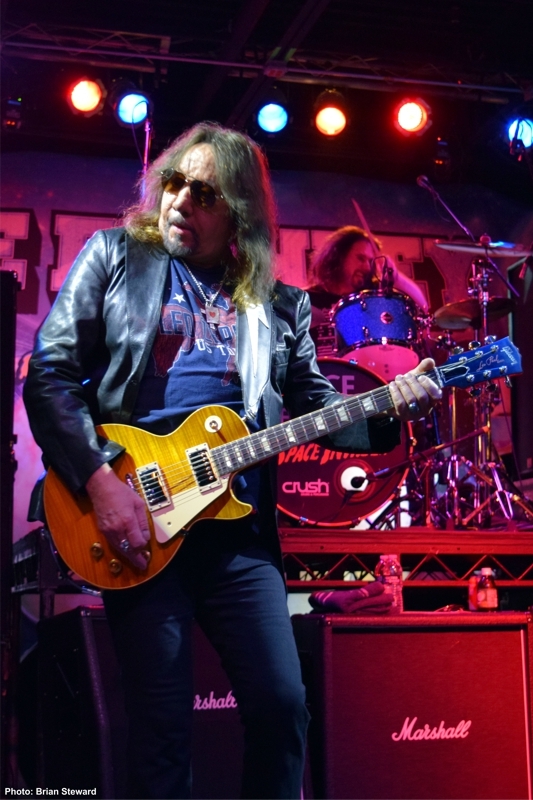 The Ace Frehley band recently touched down in Tyler, Texas as part of a small run of dates across the United States. The group, consisting of “The Emperor of Rock ‘n Roll” Richie Scarlet on rhythm guitar, Chris Wyse on bass, Scot Coogan on drums and of course, the refugee from Jendell himself front and center were, as always, bringing their ‘A’ game. The spaceman didn’t leave any crop circles in the area, but he did leave heads spinning in the packed club. As soon as Frehley powered into the opening notes of Parasite, the night was underway and the crowd was in awe. The 17-song set left no musical stone unturned. The KISS classics everyone would expect, including Detroit Rock City and Love Gun, were there, as well as offerings from Frehley’s 1978 solo album, Rip it Out and Snow Blind, and of course, Rock Soldiers, from the Frehley’s Comet era. As always, to the delight of the crowd, Frehley brought out the blue smoking Gibson Les Paul for his signature solo during Shock Me, as well as the flashing light covered guitar for New York Groove. Still sober for years, he isn’t just some nostalgia act with guitar gimmicks and classic tunes. Frehley has proven his relevancy and talent time and time again since his last departure from KISS. The two tracks from his latest release that were added to the set, Emerald and Take It On Home, along with the cut, Toys, from his last release, Space Invader, kept the set fresh and fun. After the show, Frehley hosted a meet and greet on his tour bus for fans. A line of KISS Army “lifers” waited, as they were escorted one-by-one onto the bus for their chance at face time with the rock legend. You could tell as the fans exited the bus, the experience was everything they hoped for. This run concludes in the states on February 11, then the band heads to South America on February 28th for about half a dozen dates. If you are lucky enough to be withing driving distance of a show, do yourself a favor and make every effort to check it out!